Tatiana who is Brazilian, Portuguese and British citizen, graduated in 2001 after a five-year full-time course from the Institut Superieure d'Osteopathie I.S.O. at Aix en Provence in France. She first worked as a teacher’s assistant and in different practices in France, moving later to Brazil where she ran her own practice until 2006. 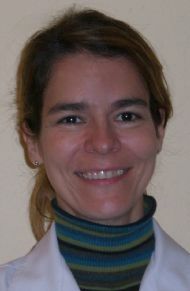 She has worked as a Registered Osteopath Assistant in different practices in Inverness until September 2009 when with partner Claudio Correa she opened her new practice, OSTEOCENTRA. Tatiana is passionate about Osteopathy and enjoys the challenge of working with a variety of conditions and with different age groups. Claudio was born in Rio de Janeiro, Brazil, where he spent most of his life. He completed his five-year Osteopathic degree at the Brazilian Institute of Osteopathy W. G. Sutherland which had mainly teachers from France and Belgium. Claudio has also completed the four-year Physiotherapy Degree at the Augusto Motta University in Rio de Janeiro. Claudio, who has 25 years of experience, has worked in the Army Hospital and Royal Navy Hospital in Rio and also in different sports injury practices, treating from regular patients to professional athletes and ballet dancers. Claudio is very committed to his voluntary work as an Osteopath and Physiotherapist with the Inverness based Highland Wildcats - American Football Academy. 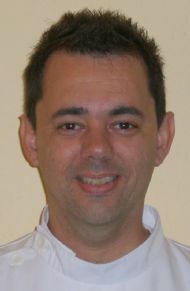 He has worked in Inverness since 2007, opening OSTEOCENTRA with his partner Tatiana Castro in September 2009. Claudio is very proud to have become a British citizen in 2015 and he is very grateful for being adopted by such a lovely community.